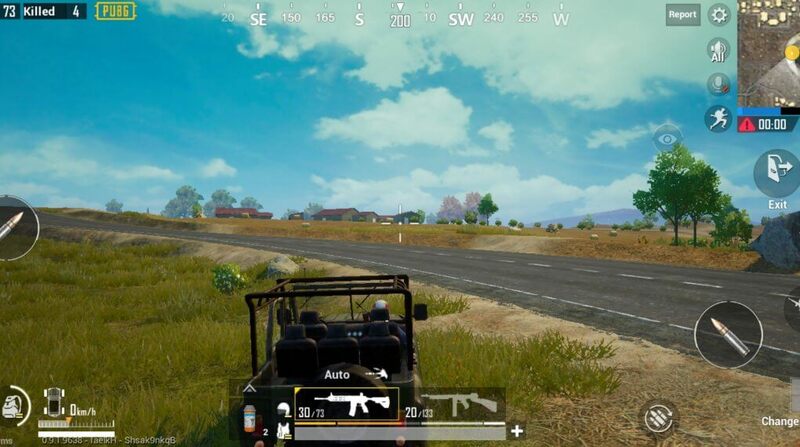 PUBG Tricks are very helpful to learn the game-winning hacks for every gamer.“PUBG”, these four alphabets revolutionized the gaming world. It is also known as ‘PlayerUnknown’s Battlegrounds’.You can see each and every person around you playing it. Basically, it is a battle royale game that has a unique concept of survival. This game is developed by PUBG Corporation which is a subsidiary of a Korean Game Developing Company, Bluehole. The game is based on the movie Battle Royale. 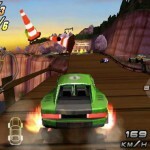 The realistic graphics and classic set of the game makes it very popular among teenagers. 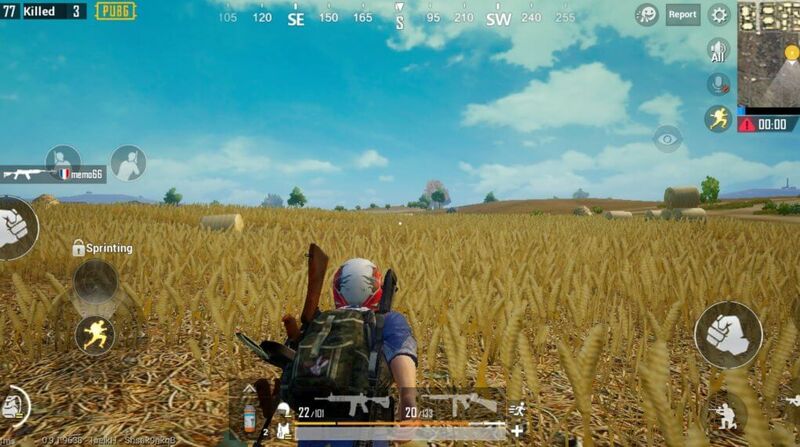 In this article, we will tell you the Top 10 PUBG Mobile Tricks that you Should Try and do a “Winner Winner Chicken Dinner”, easily. The gameplay is quite simple but it needs skills. A maximum of 100 players will parachute onto an island (In gameplay, we call it MAP), and scavenge the whole island for weapons. There are different categories of weapons like Assault Rifles, Sub-Machine Guns, Sniper Rifles and many more. The aim is to kill as many enemies and not get yourself killed. In the end, the last surviving team or player will be crowned as the winner. At irregular intervals, the survival zone will shrink that would force more encounters and boost your adrenaline. Well, you may also try our YoWhatsApp and GBWhatsApp on your phone. As this amazing game got a lot of success in a very short period of time, many new people starting playing it on daily basis. It is very easy for all Professional players to get the Chicken Dinner in any match. But, when a newbie play with high-level squad members, he is like what’s happening, who is firing, from where? :-p I am sure it happened with you too if you are a new player. 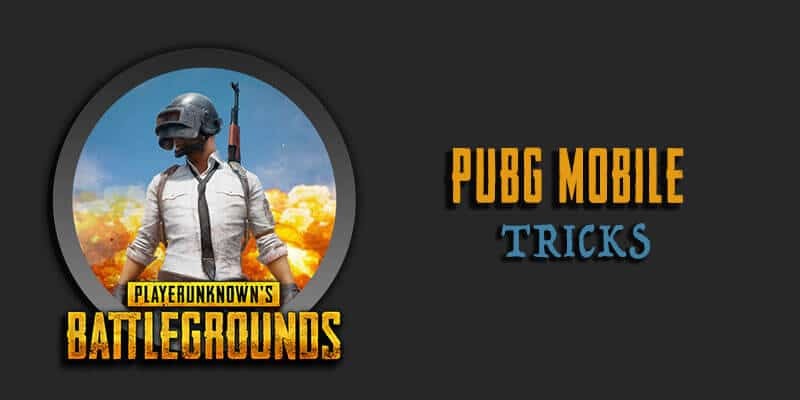 Well, no need to get worried, even you can defeat any pro squad if you try our mentioned some useful PUBG Mobile Game Tricks & Tips. 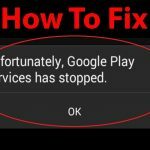 After playing PUBG a lot on my mobile, I came up with some useful tips for you. We have also shared interesting WhatsApp Dare Messages in previous articles. 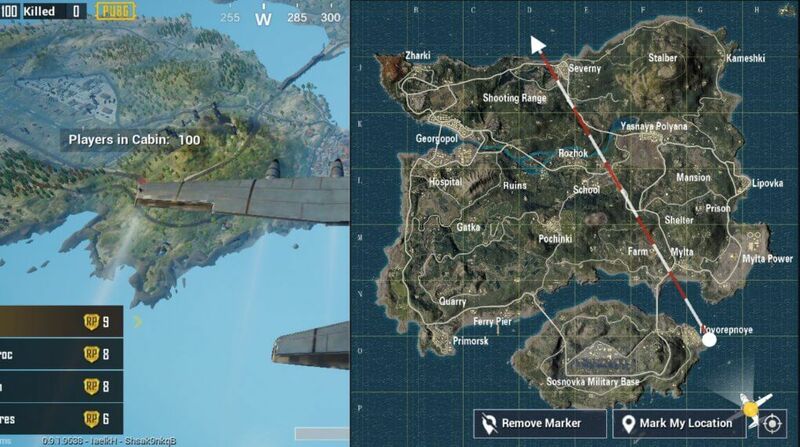 The wait is over now, it’s time to reveal the best ever PUBG Mobile Tricks you should know to get chicken dinner easily. Newbies who recently started playing PUBG on their mobile face too many problems in winning the match. This happens as they have no experience of winning a match, right now. 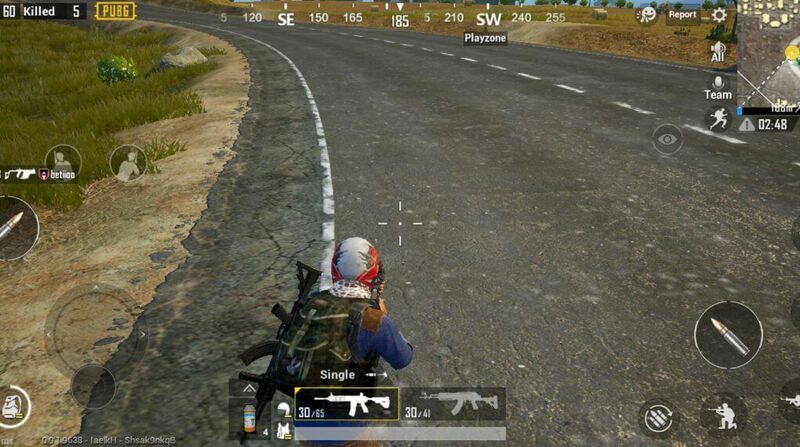 But, if they follow below mentioned Best PUBG Tricks, then can win the match easily. So, have a look at these 10 points and keep them in your mind always while playing a match. If you want to say up to date with PUBG updates then you can Join PUBG Mobile WhatsApp Groups. Many players may suggest you land on large settlements like Pochinki, Los Leones, Boot Camp or Military Base. But with more amount of supplies and weapons, there are many players that will too land on the same spots. There will be intense competition for survival. But if you land on spots like the Mansion, Camp Charlie, Mylta and many more. You can loot peacefully and can defend yourself from the survivors of Pochinki. There is an eye symbol given on the top of your screen to navigate and to watch your back. Use that’s symbol to see whether anyone is advancing on you from the back or from the sideways. 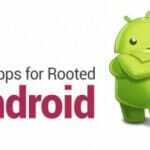 It is very helpful and you can gain skills and survive. Not many players know about the feature, but if you will drink energy drinks and take painkillers you will sprint faster. This is a great feature that will help you when you are running for your life inside the survival zone. An auto pick is an option for newbies and this is really disadvantageous at certain stages. Pick all the items that you need. This will make your bag have free space and you have to carry fewer items which are really advantageous during close combat. Secondly, carrying heavy and bulky bags will help your enemies spot you in the camouflage and shoot you easily. This is also a trick that many does not know. When you are driving a vehicle and you see an enemy firing at you. Change your direction towards the enemy and change your seat. After that, peek outside the window and fire at the enemy that will give you position to fire and momentum. You will be never a target of the enemies as they will be firing on the driver’s seat. 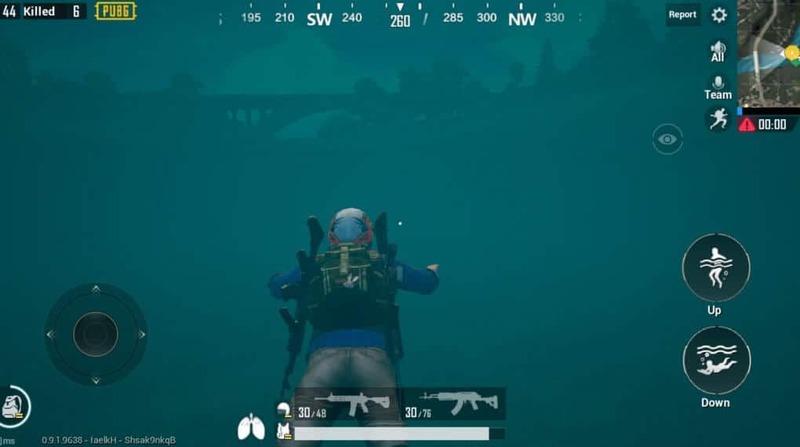 Swimming is a very dangerous task to do in PUBG Mobile. You cannot use your weapons or cannot run away as well. So, we will suggest that be inside the water all the time and swim. Come up for a moment for some air and dive down immediately. This will increase your chances of survival and no one else can spot you. Customize your controls according to your need and habits. 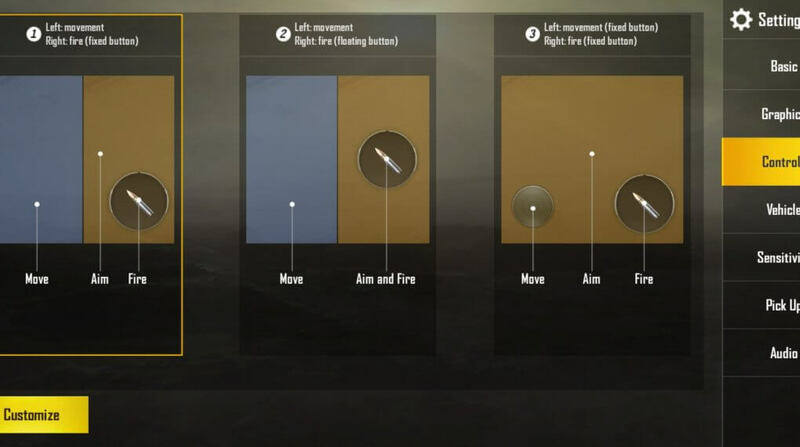 You can do the customization in the settings option in PUBG Mobile and get yourself used to them. This will make your reflex strong and you can react in microseconds to any destruction or obstruction. It is difficult to shoot a moving target and many players forget to move while they are shot at. Make yourself movable during the time of combat so that you can dodge many bullets and shoot the enemy. You can run around in random motions, jump or even twirl. This will increase your chances and make you a difficult target to shoot at. You can really use the microphone feature for your own good. Shift your mic to world chat so that you can hear all the players in the game. This will give you an insight into what’s happening in the game and you can prepare yourself for an upcoming wave of enemies. This is really cool and helpful at times. Never forget to get your mic and speaker ready. It is the most important skill to master in PUBG Mobile. You should decide where to make your game on where to lay low and watch other players fight. This will help your chances the most. Always fire when the target is in range otherwise it may know your location. Secondly, use peek and fire option. This option enables you to hide as well as fire from a safer location at times. Your chances will increase if you lay low when the heat in the match is high. You survive till all the players the dead not that kill the people that are alive. Now, you can also check WhatsApp Group Names for Friends. You can download PUBG and play it on your iOS as well as Android Devices. This game is really good and if you haven’t played the game, play it and tell us how you felt about it. Comment down below which of the above tricks were helpful to you and which weren’t. If you have any doubts regarding this article or any suggestions, you can email us the feedback. 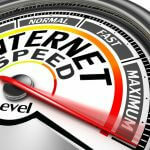 We will reach out to you as soon as possible with a reply to resolute your problems. 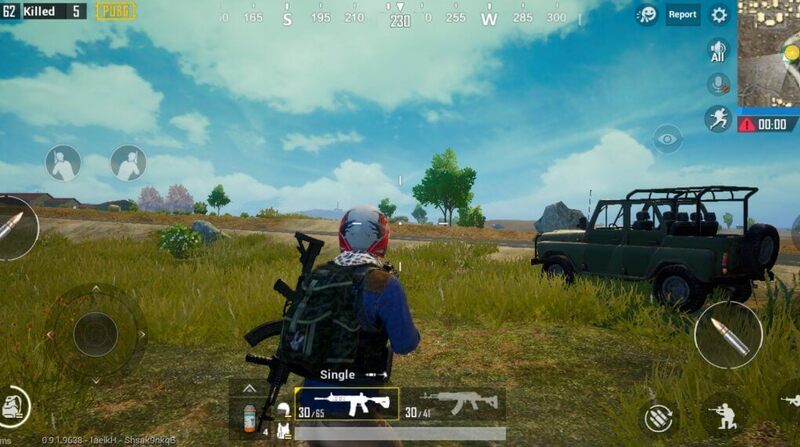 So, guys, have you got the Top 10 PUBG Mobile Tricks which you should know. Many people are not aware of these tips and tricks that’s why they don’t get Chicken Dinner too much in their game. But, if you start following our mentioned 10 Tips, it will become much easier for you to be a “Winner Winner Chicken Dinner” in your match. No matter if you are playing Solo, Duo or in Squad, these PUBG Tricks will be gonna help you for sure. 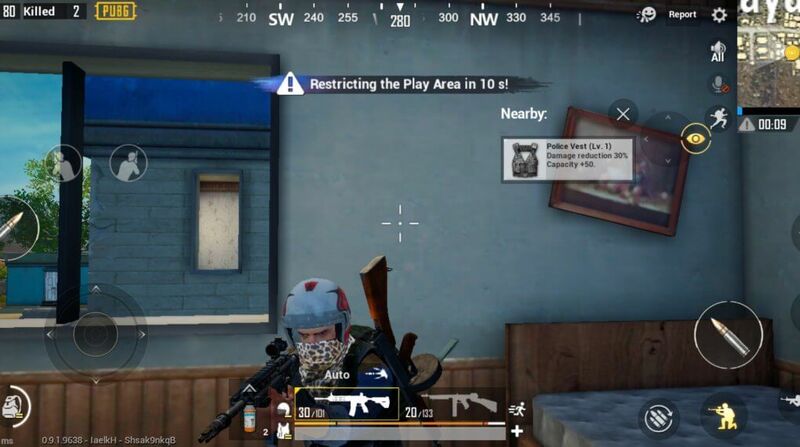 If you wanna share more Tricks for PUBG Mobile, feel free to comment below, we will add your suggestions in our article.